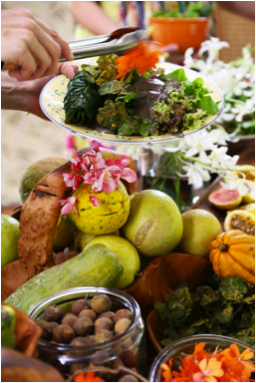 To our visitors of the Intentional Health Colonic Certification Retreat in Hawaii, the retreat is located at Hawaiian Sanctuary, a 44-acre eco-rejuvenation center and tropical farm on The Big Island, Hawaii. They offer a wide variety of retreats that you can attend, year-round, or that you, or your group, can host. 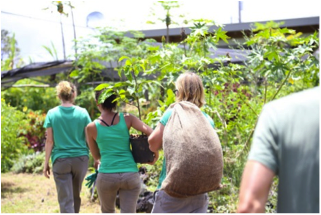 Hawaiian Sanctuary is dedicated to providing experiential education in the areas of health & wellness, permaculture, sustainability, Hawaiian Culture, social dynamics/communication, leadership, personal & collective growth and much more! Choose between a private room, or a shared eco pod, all of which include a comfortable bed and electricity. A private room will have an organic spring free queen mattress, closet and fan, with shared bathrooms just steps away. 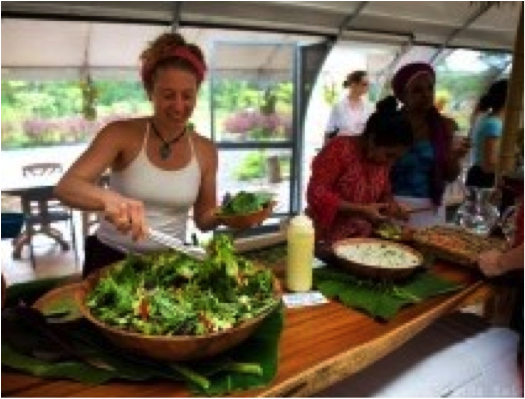 Relax in our health spa, enjoy prepared meals from our gardens, family style classes on wellness, permaculture classes, and more. Listen for the sound of the conch for each breakfast and lunch, prepared from the land with luscious coconuts, salad greens and savory plates, and creative stews. We bring local experts to teach us about returning to the land, growing our food and re-connecting to ourselves, each other, and the earth. 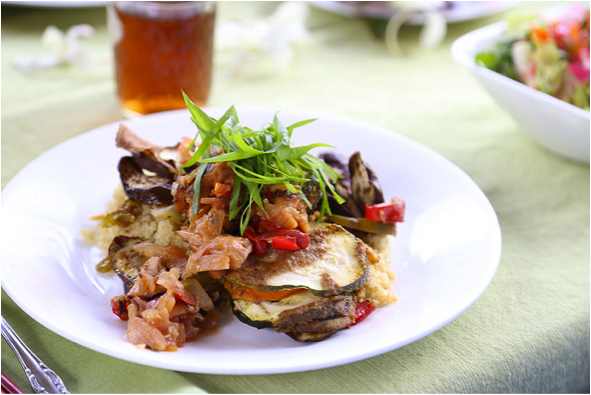 Farm-to-table vegetarian breakfast, lunch and dinner, Monday through Friday, prepared by our onsite gourmet chef. 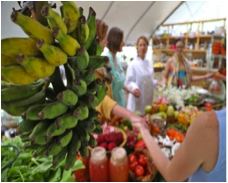 Depending on your package, most meals are included; you will need to pay for your offsite meals, optional services, tips etc. For those of you commuting to class, please join us for a great sample of part of your education of healthy diet, networking, food and drinks, grown and harvested by the Interns of Hawaiian Sanctuary. At the heart of Hawaiian Sanctuary is our amazing team of Interns. Every year, hundreds of determined, health conscious individuals come for an extended stay to work and play at the Sanctuary. Our Interns get to experience a relaxed, yet action packed lifestyle in a wholesome retreat setting. Thanks to Interns harvesting food from the organic, GMO-free garden, which provides fresh greens year-round from the land, there are usually racks of organic bananas, coconuts, passion fruit and other fruits from the land, available for snacking in the kitchen. 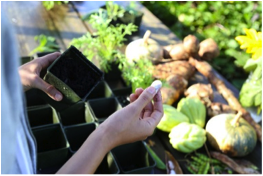 Explore the grounds, trails and walking paths through amazing edible food forests. At Hawaiian Sanctuary we offer ongoing classes and special events in our beautiful yoga & dance studio. Please view Hawaiian Sanctuary’s events calendar to get a taste of what you can expect during your time here. This colonic certification retreat training will deliver community style living with a private retreat experience. Nestle in our sanctuary close to town, yet worlds away from life as you know it! This experience is for those who take responsibility for themselves and embrace the opportunity to expand their beliefs, dissolve limited thinking and awaken their heart to vibrant health and radiant living. Clothing should be comfortable for classes and outside events, yoga clothes for yoga if you are interested. It is generally warm, even when it rains, you may want to bring a light jacket, sweater or wrap for evenings. We are eco-friendly and partially on solar power. High Speed Wireless Internet is available for your laptop but we suggest that you do not bring many electric appliances such as hair dryers, electric shavers, etc. We also have on-site coin laundry. Bring cameras for sure! We suggest that you do not bring expensive jewelry or items along as we are not responsible for lost or stolen items. Give yourself a chance to return to your natural beauty! Arrival by late morning or early afternoon, October 6th, should get you here to the Sanctuary by the afternoon to evening hours. 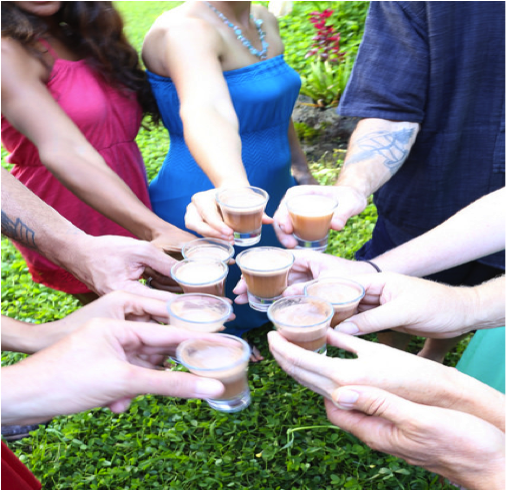 Evening of October 12th is the Hawaiian Style Graduation Celebration. Departure on October 13th – most flights leave from the Big Island in the afternoon and evening. If you prefer an airport pickup from Hilo International Airport (ITO), we can coordinate that for $60 (taxis are about $80 and up for the 30 mile trip). Please let us know in advance of your arrival time so that we may coordinate. For Questions Contact: “Kealoha” Terra Ann of Intentional Health Hawaii Inc.
You can arrange an airport shuttle from Hilo ITO or a taxi. Shuttle prices vary, a taxi is about $80.00 and up. * If you are renting a vehicle, you should make your car reservation before you arrive on the island to ensure availability. * We always recommend purchasing travel insurance in the event you have to unexpectedly cancel your trip or leave early for any reason. Hawaiian Sanctuary is on the Big Island (The Healing Island). It is approximately a 3 hour drive from the Kona Airport and a 45 minute drive from the Hilo International Airport (ITO). We are located on a 44-acre tropical farm sanctuary on ancient Hawaiian lands in the Puna District, one of the last undeveloped, magical, coastal regions on the Big Island of Hawaii. 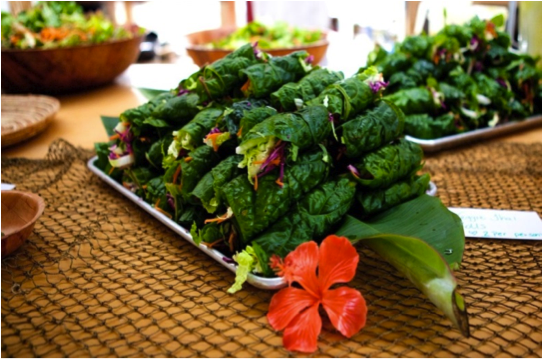 The farm is on the windward side, 21 miles southeast of Hilo – a culturally diverse university town – and less than 1 mile from Pahoa – a historic town with excellent restaurants, grocery stores, Island Natural health food store, post office and library. *Information and services provided are not intended to prescribe, recommend, diagnose or treat a health problem or a disease. They are not a substitute for medical care. If you have or suspect you may have a health problem, you should consult your primary health care providers.